The Women's Own has been a part of Amersham Free Church since 1913; it was started in the time of Alfred Ellis who founded our church. Our meetings are weekly and take the form of a small service with a speaker - these are sometimes serious and often very amusing. We also have a few travel talks with slides. Each year we have an Outing in the Summer and a Social in the Autumn - much enjoyed by all of our members. 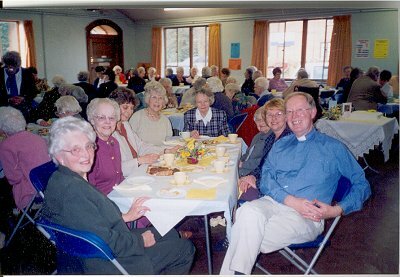 We have a good number of ladies in our fellowship and there is a warm and friendly atmosphere. It's a happy time spent together. All ladies are very welcome to join us on a Wednesday afternoon at 2.45pm. We usually end with a cup of tea and a biscuit at 3.45pm and we can provide transport if it is needed. Please contact Mrs Ann Clark, 433257, ann.milestones98@ntlworld.com, or Mrs Valerie Edis, 766221, vedis@sky.com if you would like to join us.